We have listed here a few mistakes that travelers may usually make to help you avoid the same things when you apply for a visa on arrival to Vietnam. 1 - No visa on arrival without applying online: many people believe that they can get a visa directly at Vietnam airport without applying online. That is wrong, you can not until the visa is approved. 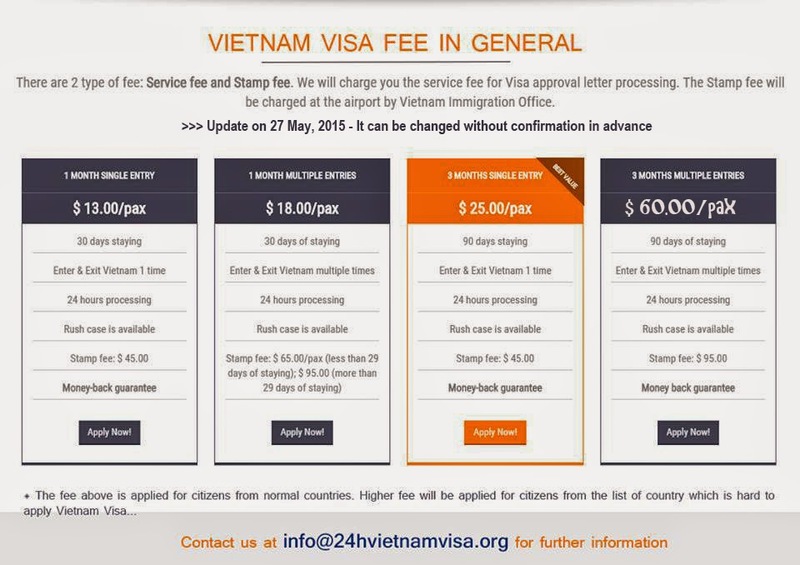 So, you will need to apply online for an approval letter in order to pick up your visa at Vietnam airport. 2 - Visa on arrival at the border: Visa on arrival works for air travel only. So, if you do not enter Vietnam by air, just make sure you have the visa in advance. 3 - Spelling/Typo mistakes: Many travelers fill in the Application form with wrong detail as: full name on passport, passport number or date of birth. Normally, many people think it is not important but in some cases, your application can be refused by the airline at the departure airport. So, make sure that you entered everything correctly and carefully. 4 - Arrival date: Many people think that the visa validity will start from the date they enter Vietnam, not from the date they provide, however, it is not. The visa validity will commence from the date you provide in advance, not from the date you will enter the country. So, just make sure that you make a clear plan of when to enter before ordering a visa to Vietnam. 5 - Visa extension: many travellers think that it is easy to extend a visa once they are in Vietnam, however, in fact, it is not that easy, and extending a visa may be a costly and time consuming process. So, if possible, just apply for a 3 month visa in advance instead of a 1 month one to save money on visa extension.